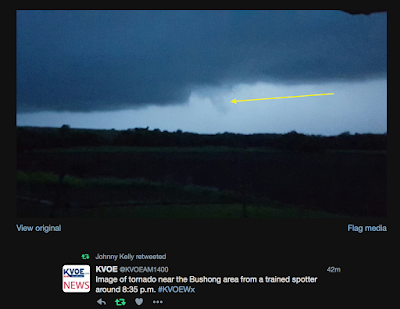 While there were a number of tornadoes in Kansas today, there was one circulation that stands out. 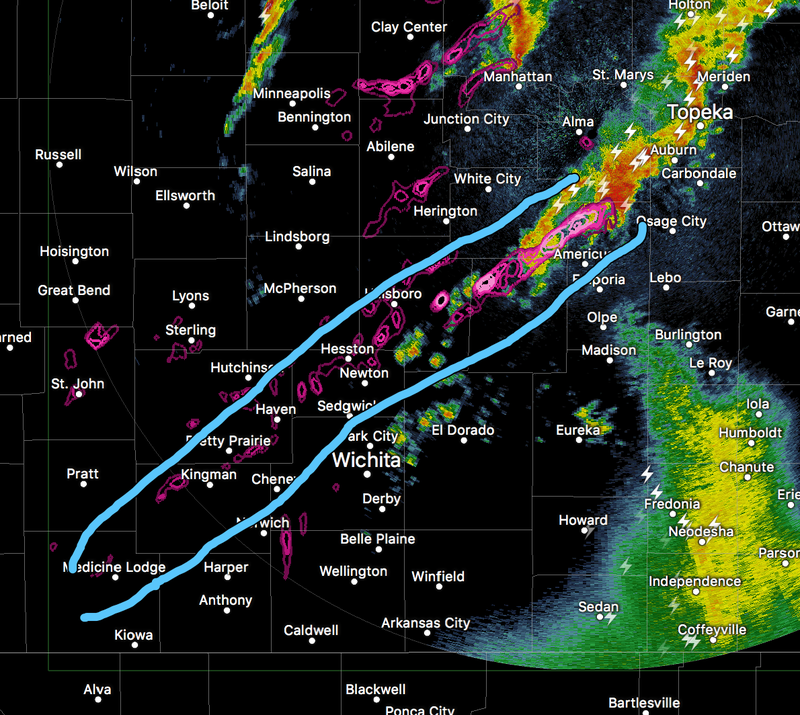 This evening, there were strong radar indications of tornado(es) in the sparsely populated Flint Hills. 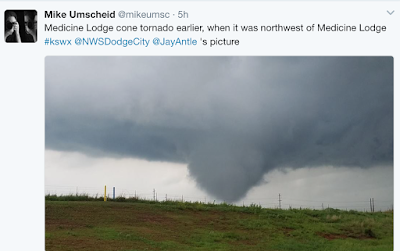 There were reports of tornadoes with it from northwest of Medicine Lodge to near Bushong and an unknown number in between. 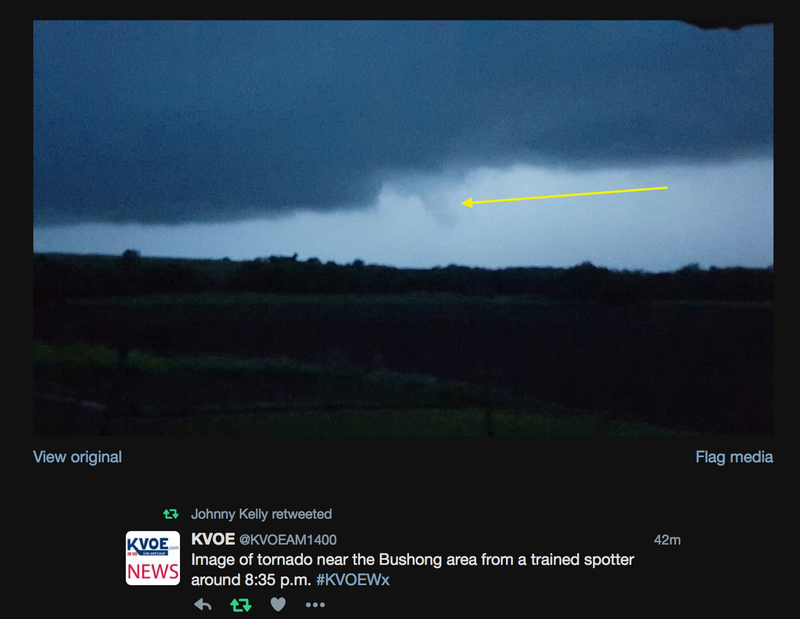 Bushong tornado. It is difficult to get a good photo of a tornado at night, the long exposures needed tends to blur them. It is unknown whether the storm will produce an additional tornado. 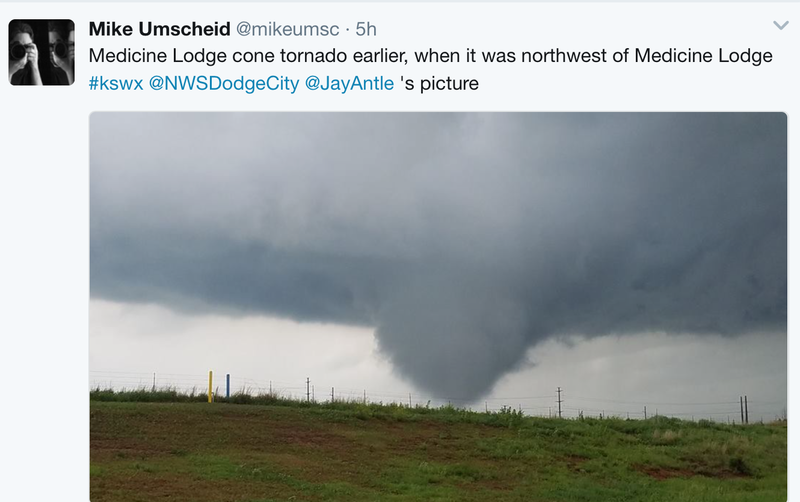 It has certainly been a busy week for weather in Kansas.